Home » Authors Speak Out » Diane Alberts Shares a Candy Cane Mimosa Recipe! During all of December we have some great romance steals for every type of reader. We’re excited to welcome Diane Alberts who is sharing a yummy candy cane mimosa recipe and be sure to check out Catching the Player on sale for just 99¢! 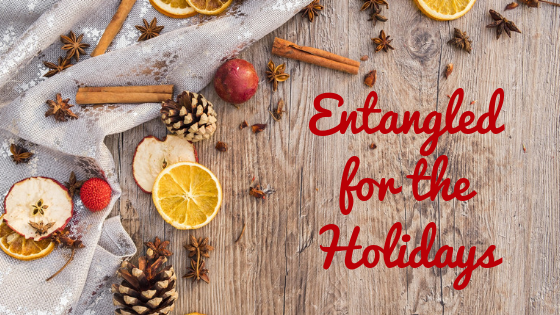 Hello, I’m Diane Alberts, and I’m here today to celebrate the ah-mazing sale that Entangled Publishing is having—who doesn’t love a good deal at Christmas time, am I right? But, you know, sometimes you don’t get those amazing sales, and what helps drown out the Christmas budget blues? Well, booze, of course. This delicious candy cane mimosa recipe I found online! Seeing those zeroes in your bank account won’t hurt too much when you’re sipping on these delectable bad boys. Just turn on the Christmas music or Hallmark Movie Channel, put those fuzzy-cocked feet up, grab an Entangled Publishing book that’s on sale, and follow these simple directions below to lose yourself in peppermint mimosa bliss. When Kassidy Thomas decided to stop hiding behind her past, and start living, she didn’t quite bet on that start including her singing a horrible song in front of the handsomest bachelor in the NFL, Wyatt Hamilton. She also didn’t think he’d then ask her out on a date, but turns out when you’re actually living life…crazy things happen.